Accelerated Degree Programs allow eligible students the opportunity to complete both an undergraduate degree and a master’s degree in less time because the student may begin taking graduate courses while still an undergraduate. During their senior year of their undergraduate careers, students in the accelerated program may substitute up to 12 credit hours of graduate course work for undergraduate course work. Once they enter graduate school, they’re able to quickly move through their master’s degree requirements because they’ve already taken several graduate classes. The following departments offer the accelerated degree program. To learn more about Accelerated Degree Programs in your discipline, contact your program advisor. 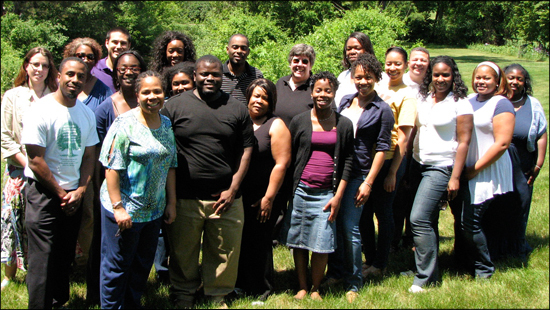 The 2012 Michigan Alliance for Graduate Education and the Professoriate (MI-AGEP) Dissertation Writing Retreat, held from May 21 to May 24 at the Kellogg Biological Station and Conference Center at Gull Lake, was a great success. For the third year in a row, a total of sixteen students attended from four participating universities: Western Michigan University, Michigan State University, University of Michigan, and Wayne State. The students were in the STEM fields, which include Science, Technology, Engineering and Mathematics, or the SBE fields, which include the Social, Behavioral and Economic Sciences. MI-AGEP is a National Science Foundation grant. For the third year, the four day event featured Dr. Wendy Carter-Veale, nationally known facilitator. 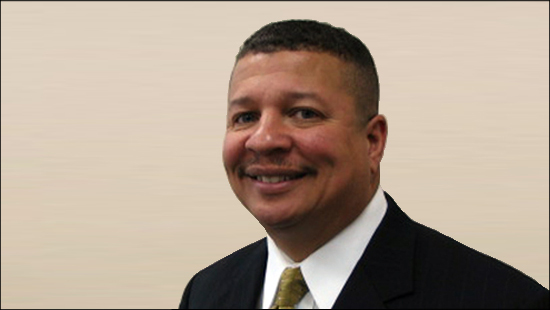 Dr. Carter-Veale has master’s degrees from Stanford University and Carnegie Mellon University and an M.S. and Ph.D. from University of Wisconsin-Madison. 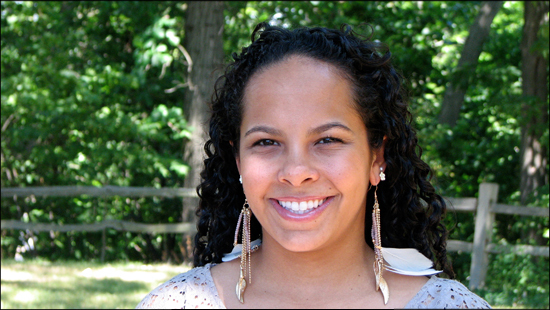 She is affiliated with University of Maryland- Baltimore County. While receiving these degrees and raising her daughter, Dr. Carter-Veale experienced many of the problems that all graduate students face: time management issues, family/life/school balance, learning how to network and work with her committee and other contacts, and many other challenges. Research, along with her own experience, showed Dr. Carter-Veale that 50% of all students drop out of graduate school and 17% drop out during the thesis and the dissertation phase. In response to this disturbing statistic, she developed an interactive motivating tutorial designed to eliminate the high attrition rate among graduate students. She produced a powerful presentation that not only inspires students, but gives them workable solutions to their own educational predicaments. The Kellogg Biological Station and Conference Center is located right on the shores of beautiful Gull Lake and has extensive grounds with gardens as well as self-contained dorms and cafeteria. As in years past, students found the setting to be relaxing and the retreat to be very helpful with their progress to dissertation completion. They began by charting out a course of action and then learned techniques to stay on that plan even in the face of “real life,” which always seems to intrude on the process. These Ph.D. students kept to a rigorous and very structured timeline, which included mini-workshops and one-on-one hour long meetings held by Dr. Carter-Veale, and many hours spent working on their plan for their dissertation, or actually writing their dissertation itself. The appeal of the Dissertation Writing Retreat is that it offers structured writing time, along with consultations on problem areas, for students who are often pulled in many directions from jobs, families and school responsibilities. Dr. Carter-Veale says, “A good dissertation is a done dissertation,” and that is a truth that she constantly reiterates to participants in her workshops. Another exercise she promotes is getting the “elevator speech” down pat. This involves distilling one’s thesis into a short, succinct, two minute speech for when one might have to impress a future professor or hiring unit with one’s scholarship, or when speaking to the media. This, along with many other motivating tips from Dr. Carter-Veale, helped bring the attending students further along in their dissertation completion in four days than they might have in four months of working on their own. Kevin Grazioli—Winner of Two EMMY awards! Kevin Grazioli, MBA student at Western Michigan University, has two beautiful golden statues to commemorate his undergraduate film career. His film “Seeing Stars in Indiana” won two EMMY awards from the National Academy of Television Arts and Sciences in 2012. Completed while he was a senior at Ball State University majoring in telecommunications, the film has been airing on Public Broadcasting System stations across Indiana since 2011. In “Seeing Stars in Indiana,” Grazioli’s film crew followed professional and amateur astronomers as they traveled through Indiana and to Arizona to explore the night sky. The film, which was created to, in Grazioli’s words, encourage people to “look up!” was nominated by PBS station WIPB-PBS, which funded the work. It won the overall prize for Health/Science Program or Special. 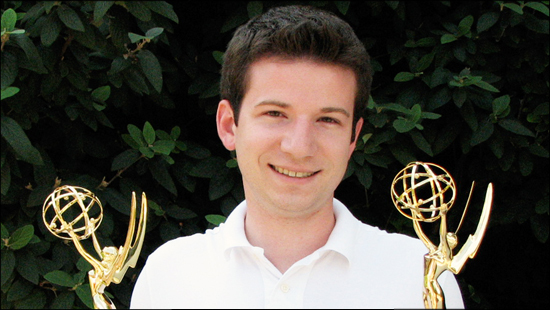 Grazioli also won an EMMY for his role as Director—Post Production. In pre-production, Grazioli proposed the idea, obtained funding, and hired the crew, including narrators for the voice-overs and film editors. In post-production he hired the film editors and consulted with them as they edited the work on its journey to completion. Grazioli has made contacts in Los Angeles while working on the film and this worked to his advantage in hiring his crew. Since it has come out, the film has been a stepping stone for Grazioli as he has worked on commercials for Wal-Mart as well as on Fox Sports and ESPN. Acting as producer, writer and director, as well as cinematographer, has given him great experience in his future career. Grazioli, who is from Canton, Michigan, is in his first year in the Master’s of Business Administration program at Western Michigan University. He works on campus as a Graduate Residence Hall Director at Ackley-Schilling. He has been working on a film project with Sindecuse Health Center and wants to pursue the financial and accounting side of filmmaking. For more information please visit his website at www.kevingrazioli.com. 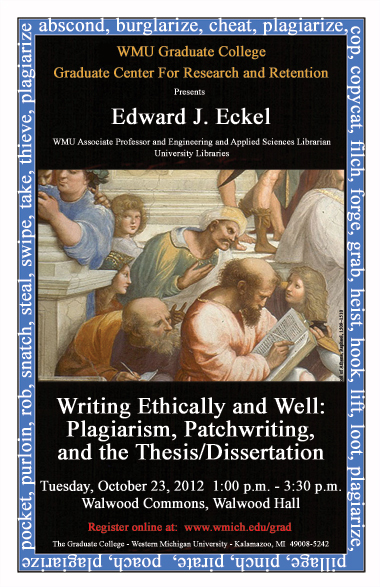 On Tuesday, October 23rd, The Graduate Center will sponsor a presentation, “Writing Ethically and Well: Plagiarism, Patchwriting, and the Thesis/Dissertation.” The presenter is Dr. Edward J. Eckel, associate professor at WMU and librarian at WMU’s University Libraries. The event will take place in the Walwood Commons at Walwood Hall, from 1:00 p.m. – 3:30 p.m. Many students do not understand fully what plagiarism is or what doing it could mean to their current status as a student or their future career. We’ve all heard of high-profile cases when a college president or powerful professor is exposed as a plagiarist. They may lose their positions and are frequently blacklisted in academia. If found responsible, students also can sustain sanctions from failing the class to being dismissed from their programs, up to being dismissed from the university permanently. Students at all levels may find it difficult to understand the exact definitions of plagiarism and how to avoid it in their writing. Often it is as simple as using another author’s words without quoting, making it appear that the student came up with that pithy quote all by him or herself. For careful professors, it is immediately clear that the student has plagiarized, especially if the professor is familiar with the material. It could mean copying fragments, sentences, or whole paragraphs from a source, without attribution. Again, most professors will catch these types of plagiarism, since often the original source does not sound like the writing of the actual student who has “borrowed” from the source. In addition, there are plagiarism detection software systems, such as Turn-It-In, into which professors can submit papers to determine if plagiarism exists in those documents. Or they can just type the phrase into Google and see if it comes up. Patchwriting, a form of plagiarism, usually happens when the writer does not fully understand the information he or she is writing about. It generally occurs when students write too closely to the original source without using the appropriate attribution. It may come in the form of copying sections of an original source or multiple sources and presenting the information as if the student is the author: for instance, taking out certain words or phrases but conforming to the wording and structure and ideas of the original (s), creating something like a “patchwork quilt”. It could also mean using a thesaurus to change key words to another word with the same meaning. At the outset, patchwriting can help a student understand a concept; for instance, students can use it as a method to understand content, but it is never appropriate for use in the final paper. By that time students should have come to fully understand the concepts and be able to write fluently on the subject, not using another author’s structure, wording or ideas, unless they are credited fully. Zella Jackson Hannum, who will be WMU’s first National Science Foundation (NSF) Alliance for Graduate Education and the Professoriate (AGEP) grant doctoral graduate in engineering, successfully defended her dissertation on May 16, in Walwood Commons. Western Michigan University is partnered in a special AGEP Alliance with the University of Michigan, Michigan State University, and Wayne State University in a federally funded initiative aligned with efforts to increase participation among underrepresented groups in the fields of science, technology, engineering, and mathematics. Dr. Hannum was awarded a Ph.D. at the June 2012 commencement ceremony from the Department of Industrial and Manufacturing Engineering, which is chaired by Dr. Paul Engelmann. Dr. David Lyth, professor and co-director of the Engineering Management Research Laboratory in the College of Engineering, served as Dr. Hannum’s dissertation chair and guided her research, titled Development of a New Technology Balanced Scorecard Derived from Critical Factors that Impact Product Quality. Hannum’s study used multiple linear equations to predict critical factors that drive product quality and that demonstrated significant correlations with measures of product quality management practices and product quality performance. The second part of the study developed and tested scorecard performance capability and usability and demonstrated significant correlations with measures of scorecard performance capability and managers’ decisions to use the scorecard as a tool in making quality management decisions. Such a performance measurement tool will be important to business environments interested in cultivating new technology ventures (NTVs) through the use of continuous process improvement and quality efforts. 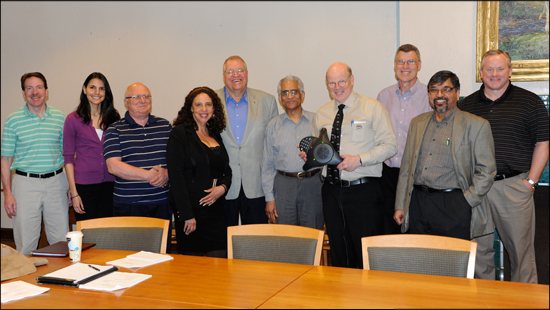 Other members of Dr. Hannum’s dissertation committee include the following: Dr. Tarun Gupta and Dr. Leonard Lamberson, professors, WMU Department of Industrial and Manufacturing Engineering, and Dr. John Lloyd, University Distinguished Professor emeritus, College of Engineering, Michigan State University.